Here are some of our dogs up for adoption, however there are more dogs looking for fosters/foster to adopt or not quite available yet for adoption. 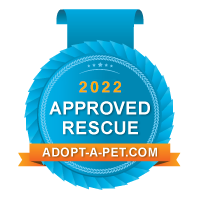 Please be sure to look at our Adopt-A-Pet and PetFinder pages and follow us on Facebook and Instagram. Big blockheads are better! Just ask Beefcake Bosswick, better known as BOZ! This big hunk of love is a 5 year old, 70 pound boy who is in foster care, after being rescued from a kill shelter in Los Angeles where he spent over 13 months, and is seeking a foster, foster to adopt or forever home! Boz is a soulful, affectionate, incredibly smart boy. Yes this boy brings looks and brains! Boz bonds easily with people, he consistently enjoys seeking guidance and leadership from his people. He aims to please so someone who enjoys spending time working and playing with their dog is preferable. He will reward you with many years of devotion! Of course he has a silly side, belly rubs are his fave and he’ll thank you with lots of kisses. He’s also a playful guy who loves to fetch and romp around the yard. He also LOVES outings to the park, to the beach and to go on hikes, where he can take in all the sights and sniffs. Boz is crate and house-trained and walks nicely on leash. Having been in the shelter over a year, Boz was very stressed and needed help readjusting to just ‘being a dog’. He went through a board & train with a very well known behaviorist/trainer Brian Agnew from The Balanced Dog where he learned all of his manners, obedience commands and has been working on his socialization. This is a once in a lifetime opportunity to learn from a world renowned trainer, cause Boz comes with free lifetime training support. We’ve already paid the bill! Boz is insecure around other dogs, we don’t know why, and it doesn’t matter because he continues to show us his courage as we work on his socialization around other dogs. At this time, he should be the only animal in the home. He assures us, he has enough love to make any home complete! He is neutered, microchipped, and up-to-date on his vaccinations. If this one of a kind guy sounds like just what you’ve been looking for in a best friend/family member, fill out an adoption application here: http://www.ocpbr.org/adopt/adoption-application/ or email [email protected] for more information. Hi, I’m Hartley! I am a very special petite aka pocket Pittie girl who is about 2.5 years old. Hartley was adopted out from local high kill shelter on a medical waiver to a private adopter. Four months later, Hartley was found abandoned in a field in terrible condition. Hartley was brought to the same shelter again and her owner was put under criminal investigation for severe neglect, her entire body was covered in an easily treatable condition called Demodex mange which had also turned into a yeast and bacterial infection. We were able to rescue Hartley and bring her into our foster program where we have all fallen for this sweet little girl. Now, Hartley has been completely transformed and is a healthy, active girl who is eager to learn and please everyone around her. We all joke that Hartley has hearts in her eyes for every person she meets. She is the best snuggler and truly enjoys cuddling up next to her humans. Hartley would love to be the queen of someone’s castle, if there is another animal in the home she prefers calm dogs as a canine companion to share her home with and of course with humans who could continue her training cause she loves to work and play to please! Hartley is crate trained, in fact she loves her crate so much. Hartley is also house trained, current on all vaccines, spayed, microchipped and has gone through extensive obedience training…she is the most trained dog in our rescue because she was lucky to live with our trainer for a few months! She is an absolute doll and will be so happy to find her forever home with you. Fill out an adoption application here: http://www.ocpbr.org/adopt/adoption-application/ or email for more information.